Long before the gold rush of the late 1800s, Juneau was home to the Tlingit (pronounced “CLINK-it”), the indigenous people of the area. The region’s gold deposits may have gone undiscovered if early explorers had not observed Tlingit people using the precious metal for a variety of everyday uses. 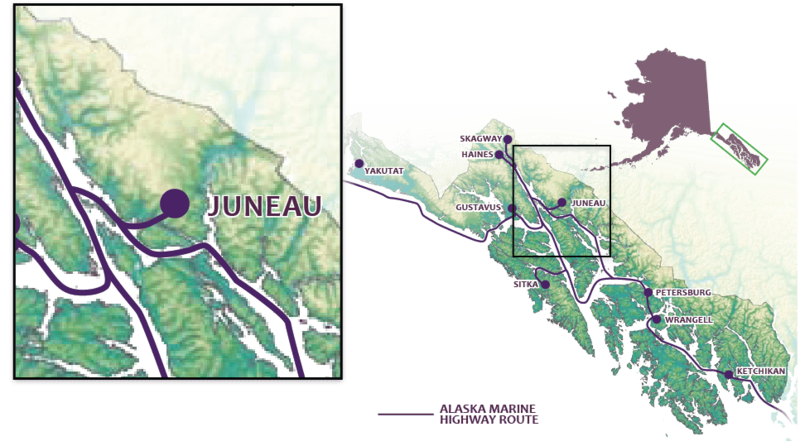 Joe Juneau and Richard Harris, Juneau’s modern founders, were guided by the Tlingit to the gold vein that launched the city’s development. The region’s three Native peoples, Tlingit, Haida and Tsimshian (pronounced “SHIM-shee-ann”), share common art forms, ceremonies and legends, all of which have been shaped by the land and sea. Descendants of the Tlingit and others from the region are active in the social and political fabric of Juneau. Native arts and culture of southeast Alaska can be experienced all throughout Juneau.